Christmas Fish. Roasted Cod Pieces, Served In Vegetable Sauce. Xmas Styling. Front View. Banco De Imagens Royalty Free, Ilustrações, Imagens E Banco De Imagens.. Image 87253472. Imagens - Christmas fish. 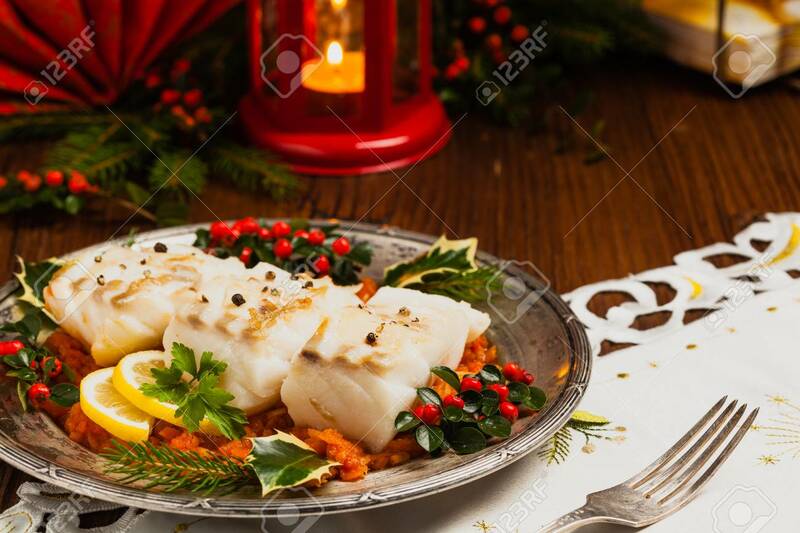 Roasted cod pieces, served in vegetable sauce. Xmas styling. Front view. Christmas fish. Roasted cod pieces, served in vegetable sauce. Xmas styling. Front view.